As if ransomware wasn’t already annoying and threatening enough, a new app has surfaced that has been stirring up trouble across the computer world. The new ransomware is an app called Netflix Login Generator. It appears under the guise of providing free Netflix access while secretly carrying maleware to encrypt your files. Once it has done its job of encrypting your data, a ransom of one hundred dollars’ worth of Bitcoins will be demanded to unlock them. Unwary users will carelessly download the app in the hopes of gaining free access to Netflix and will find themselves losing data instead. The app will pop up a login and password generator on screen with no indication on what to do next. While it is sitting prettily, it is encrypting all of your data in the background. 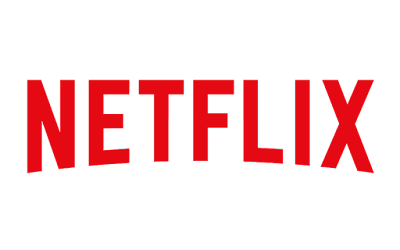 While ransomware is always a pain, the Netflix Login Generator only seems to encrypt certain kinds of files, as listed here: ai, .asp, .aspx, .avi, .bmp, .csv, .doc, .docx, .epub, .flp, .flv, .gif, .html, .itdb, .itl, .jpg, .m4a, .mdb, .mkv, .mp3, .mp4, .mpeg, .odt, .pdf, .php, .png, .ppt, .pptx, .psd, .py, .rar, .sql, .txt, .wma, .wmv, .xls, .xlsx, .xml, .zip. This can leave a good chunk of data safe but also risks quite a bit in the process, especially if you have homework or business files lying about – or a library full of hard-earned music. Regardless, the app seems to target the C:/user directory explicitly and only works on Windows 7 and Windows 10. This is only the current version of the ransomware, however. There is no way to tell how it will act in the future when updates are made or what further harm it will do. How do you keep safe? Pretty much just don’t download anything that’s trying to help you get away with piracy or something illegal. It’s better for your Karma anyways.